It was 30 years ago today that the seeds were planted for both Linux and the open-source software movement, though neither is called that name by the man who help set both of them into motion, the irascible Richard Stallman. On that day, Stallman, then working at the Artificial Intelligence Lab at the Massachusetts Institute of Technology, posted on the net.unix-wizards and net.usoft newsgroups about an ambitious new project he was embarking on. ”Free Unix!” began the missive. ”Starting this Thanksgiving I am going to write a complete Unix-compatible software system called GNU (for Gnu’s Not Unix), and give it away free to everyone who can use it. Contributions of time, money, programs and equipment are greatly needed,” he wrote. Little did he know how many contributions this project would get in the decades to follow. A prodigious programmer, Stallman went on to write many of the components for GNU himself, including the C compiler (GCC) and build automator (gmake). The GNU OS, however, still needed a kernel. It was provided, perhaps advertently, by a Finnish computer science student Linus Torvalds who in 1991 began working on his own free version of Unix for personal computers, which was named Linux. Today, of course, Linux is one of the most widely used, if not the most widely used, OSes on the globe. 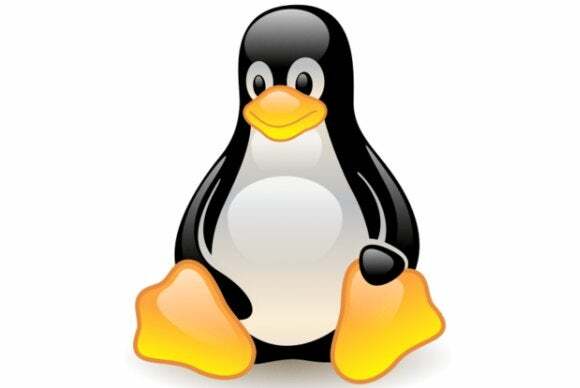 Technically speaking, Torvalds’ contribution to Linux is mostly the kernel, or the operating core, of what we think of as Linux. Many of the supporting components in today’s Linux distributions actually come from the GNU project. Stallman campaigned for a few years to rename Linux as the GNU/Linux, which, although technically being a more accurate name, failed to catch on, even as Linux development and usage continued to accelerate. In its latest annual survey of Linux development, the Linux Foundation estimated that since 2005, nearly 10,000 individual developers from over 1,000 different companies contributed to the Linux kernel. This practice incensed Stallman, and he vowed to fight it with his new OS. In order to support the development of GNU, Stallman started the Free Software Foundation in 1985, where he remains to this day as its unpaid president. FSF went on to champion the use of free software and warn people about the dangers of being trapped by proprietary software and systems. Ever the staunch idealist and stickler for precise definitions, Stallman has never adopted the term “open source” for describing free software, pointing out that “free” in the context of free software has always referred more than to how much it costs to purchase the software. ”When we call software ‘free,’ we mean that it respects the users’ essential freedoms: the freedom to run it, to study and change it, and to redistribute copies with or without changes. This is a matter of freedom, not price, so think of ‘free speech,’ not ‘free beer,” Stallman has written. Stallman did not immediately respond to a request for comment, though he still travels the world to this day, tirelessly advocating for free software. ”I am not on vacation, but I am at the end of a long time delay. I am located somewhere on Earth, but as far as responding to email is concerned, I appear to be well outside the solar system,” his auto-response email message reads.